With fennel oil to stimulate your skin, and antiseptic rosewood oil to soothe and uplift. Its sweet, sherbety fragrance will leave you feeling calm and revived. How cute is this little guy?!? 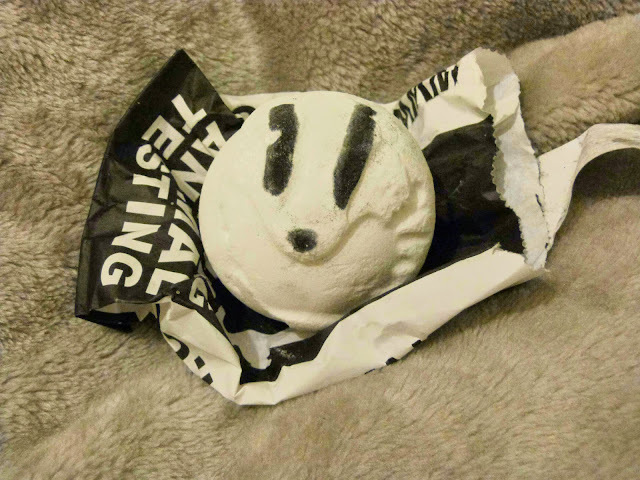 I missed out on the mothers day and Easter range this year (other than a fluffy egg that the bromley store still had) So there was no way I was letting the May Day bath bomb pass me by to. For every one of these fruity, sweet-smelling bath bombs that's sold, all the proceeds (minus the VAT) will go towards the groups behind the Votes For Animals campaign giving animals a voice this election: Animal Aid, The League Against Cruel Sports, and Save Me. Without a doubt I will buy this bath bomb again just for that reason alone.